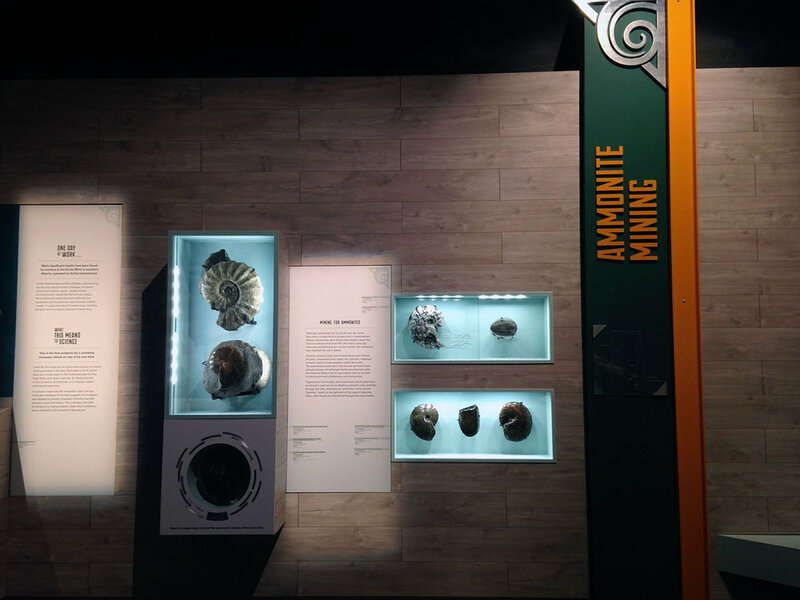 Grounds for Discovery is an exhibit highlighting the spectacular fossils that have been discovered in collaboration with Alberta's industries. It also unveils a completely new dinosaur – a nodosaur that is incredibly preserved and documented in detail by National Geographic. 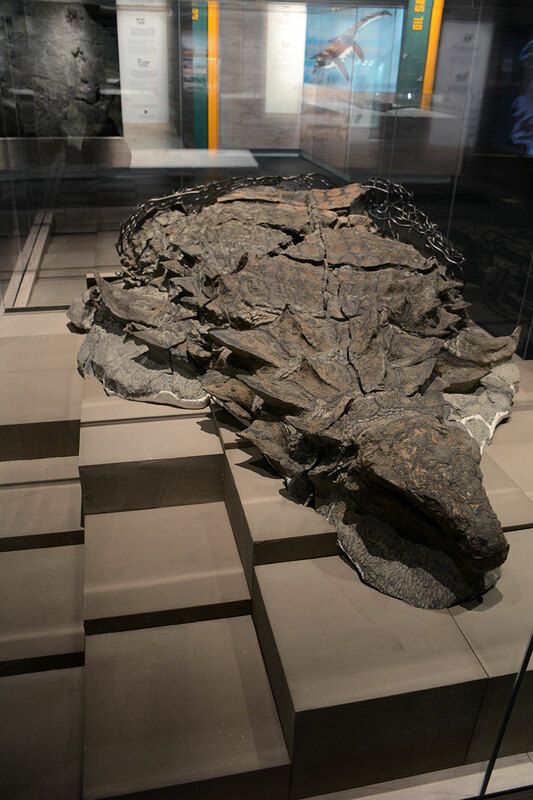 The exhibit opened at the Royal Tyrrell Museum of Palaeontology in May 2017 and will be open for three years. See the exhibit graphics in more detail here. The 3D designer (Collin Hnetka) and I collaborated to create a visual identity that is clean and modern. The heavy, geometric motifs, rectilinear shapes, and pops of bright colour are meant to reflect the themes of industry, machinery, and cutting-edge science. Wire animal sculptures by Jeff de Boer. Graphic novel illustrations by James Gilleard.